Saturday night at anchor in the West River. Caroline is breaking out the pressure cooker for moroccan chicken, so we have starter and sides duty. We’ll stay roughly in the region with tabouleh for a side (future post…nothing outrageously unique as a recipe, but one of my favorite summer sides — cool, with grain and lots of good summer herbs and vegetables all in one bowl). 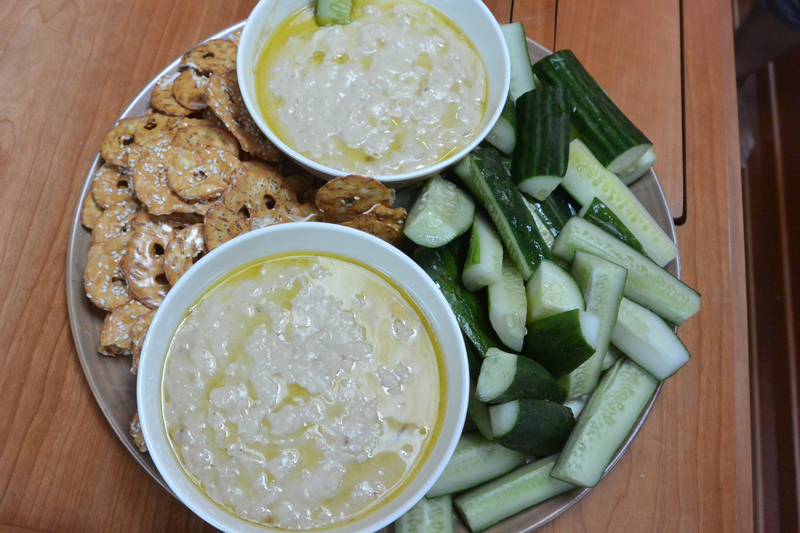 As a starter, I tried a moroccan take on hummus, with white beans and roasted garlic. The recipe was adapted from one in a Susan Spicer cookbook. I’m not a collector of too many single-use gadgets, but someone gave me this terra cota garlic roaster and it has been great fun. 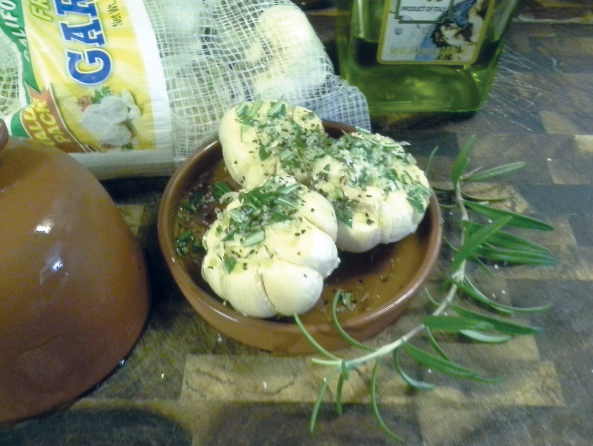 Soak the lid in water for 10 minutes while you pare the tops off three small or two large heads of garlic – I like to use a paring knife and go aroud the tops of each tier of cloves so as to lose the least amount of meat. You are just opening up the cloves to let the oil and seasonings sink in. Pour olive oil over the heads liberally, salt and pepper, and add either fresh or dried herbs as you please — I had rosemary, thanks to a neighbor’s prolific front yard bush! 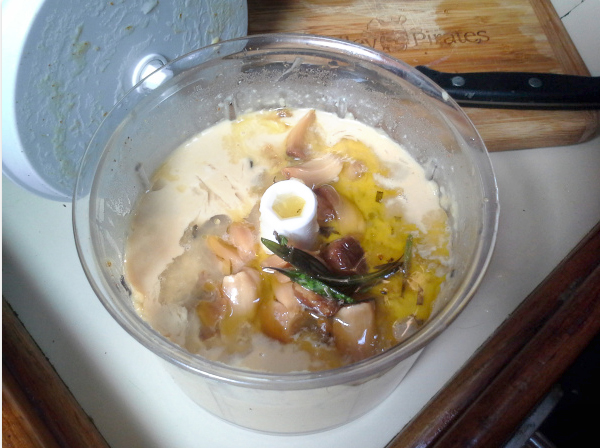 Wedge the lid back over the garlic and put the baker in a cold oven. Set to 325 degrees, and bake for 45-60 minutes or until garlic is golden and shriveled a bit…this isn’t super time-sensitive. Squeezed out of their cloves, this stuff is great straight on a good piece of bread, topping a white pizza, or in hummus…carry on. 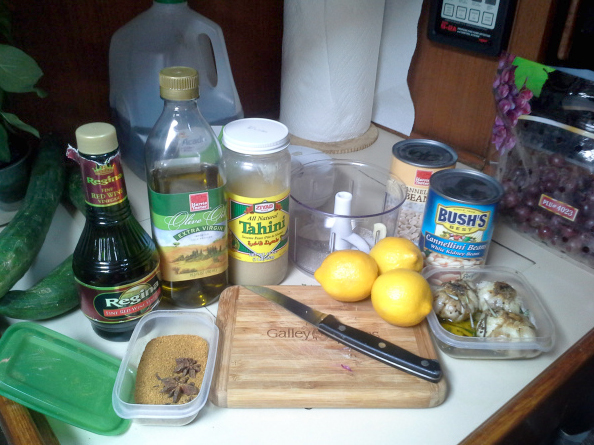 Your ingredients: two cans of white beans, like cannelini; 1/2 cup tahini (this sesame seed paste lasts forever in the icebox so go ahead and buy the big jar); 1/4 cup olive oil; 1 tablespoon sherry or red wine vinegar; juice of 2 or 3 lemons; a head or two of roasted garlic and any oil from the roasting; a teaspoon of salt; 1/4 teaspoon of cayenne; and any other spices that tickle your fancy…as we were going moroccan, I used a couple teaspoons of Ras el-Hanout, which is a mix of a lot of things. 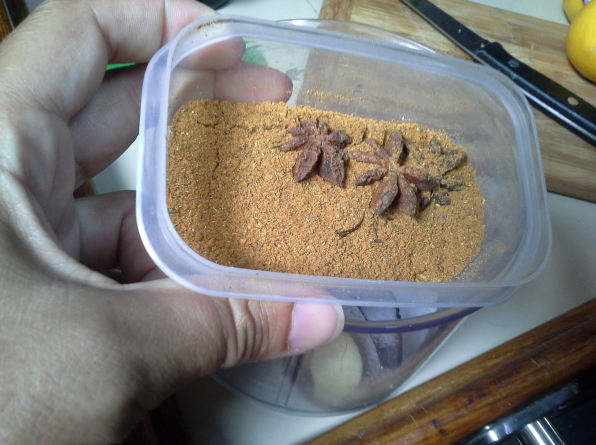 Ras el-Hanout frequently includes anise and the mix I had did not…I like anise so I keep mine with a couple of stars in it to exude some of their flavor. I know I have sung the praises of this little hand-crank food processor from Pampered Chef before, but it really earned extra praises tonight. 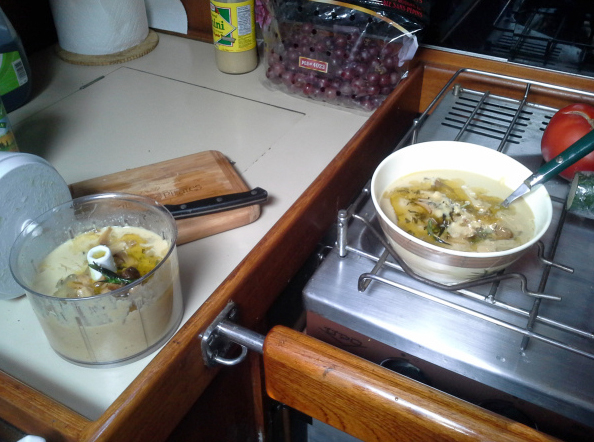 It made a perfectly blended if not completely and utterly smooth hummus with nothing but Pirate power. I threw all the small stuff in to get well blended ahead of the beans, including about 1/4 cup of water. At this point it became clear I would be making 2 batches based on the confines of my processor so I split the mix between 2 bowls added a can of beans to the processor and cranked until it was smooth, then ran the second batch. When smooth to taste (personally I don’t mind a little texture), drizzle with more olive oil to serve. 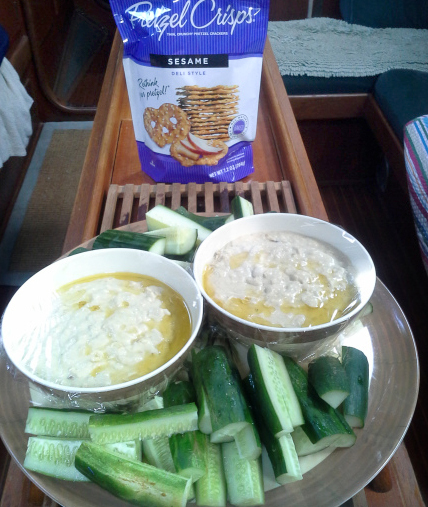 With tabbouleh and baba ghanouj you might find yourself cruising the Barbary Coast or Greek isles in no time!